Aries® is a high performance lubricant for percussion-type air tools, which is formulated from highly refined mineral oils, extreme pressure, oiliness and tackiness additives, emulsifiers, rust and corrosion inhibitors, and anti-foam and anti-fogging agents. Protects against wear – Extreme pressure performance withstands heavy shock loads typical of rock drill service, protecting the equipment against rapid wear. Protects surfaces in wet environments – Excellent emulsification properties prevent water wash-off from critical areas when operating with wet air, or during hollow rod “wet drilling” operations. Effective rust and corrosion inhibitor system protects critical components in wet air or “wet drilling” operation. 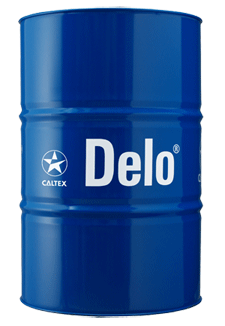 Enhanced performance – Highly refined base oils with low carbon forming characteristics and special oxidation inhibitor prevent the formation of sludge and deposits which can produce sluggish valve action. Effective anti-foam inhibitor resists foaming in air-line lubricators to enable easy control of oil feed by ensuring regular supply of lubricant to the tool. Special anti-fogging additive minimizes oil fog formation in equipment exhausts. Aries ® is a high performance lubricant for percussion-type air tools, which is formulated from highly refined mineral oils, extreme pressure, oiliness and tackiness additives, emulsifiers, rust and corrosion inhibitors, and anti-foam and anti-fogging agents. – Riveting and chipping hammers, etc. Below are general ambient temperature guidelines for adequate atomization of airline lubricators. OEM guidelines precede these, and should always be followed.